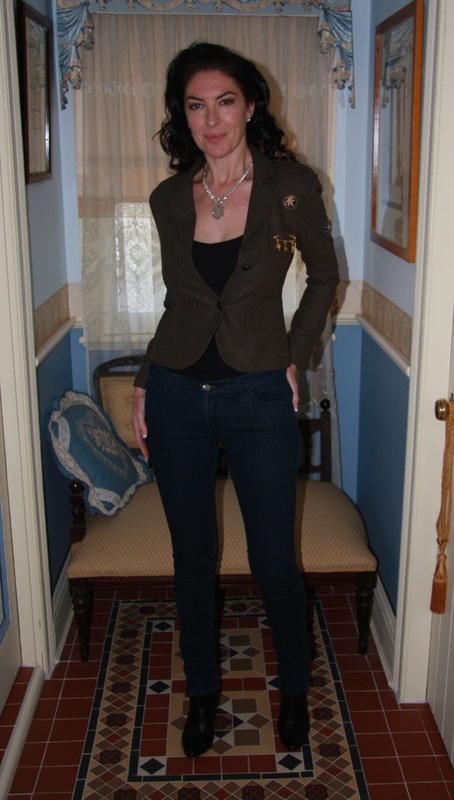 Outfit: Khaki army-inspired woollen single breasted jacket with patches & epaulettes, black cami underneath, skinny jeans in dark wash. Hair: Worn down & curled. Accessories: Chunky silver curb chain with vintage silver shield pendant, silver cz stud earrings.